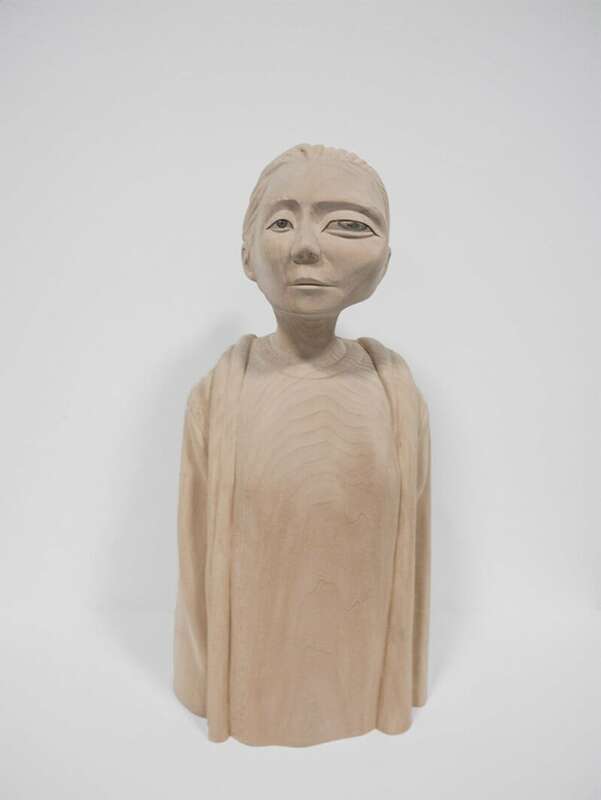 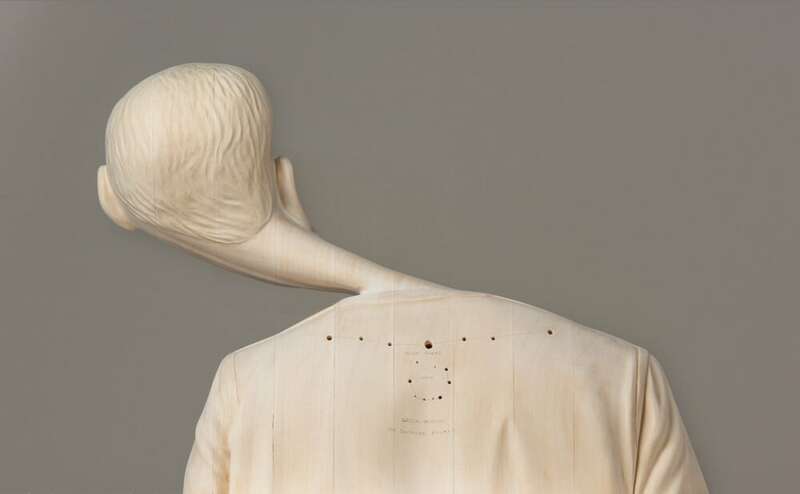 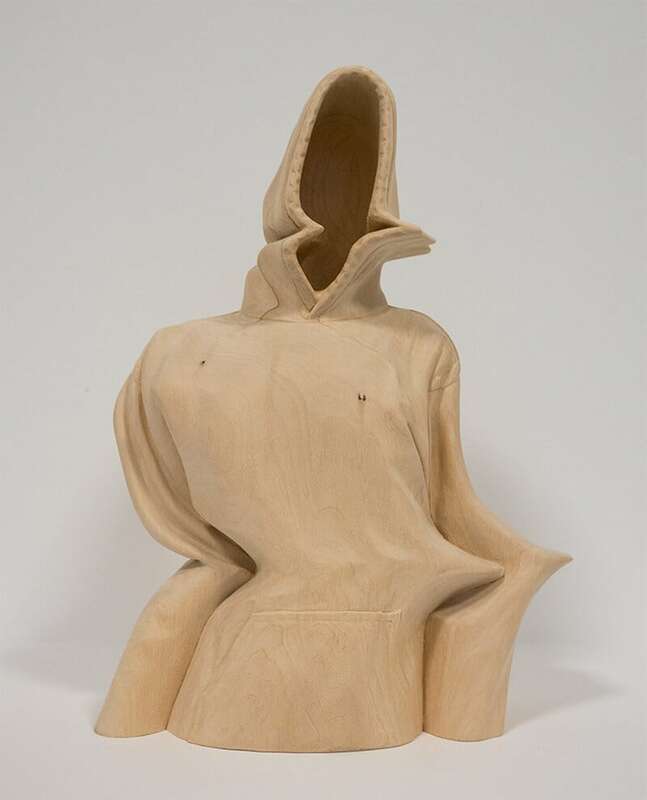 Perth-based artist Paul Kaptein works with large blocks of layered wood to reveal warped and distorted human figures, some pierced with a smattering of holes linked with drawn lines like star constellations. 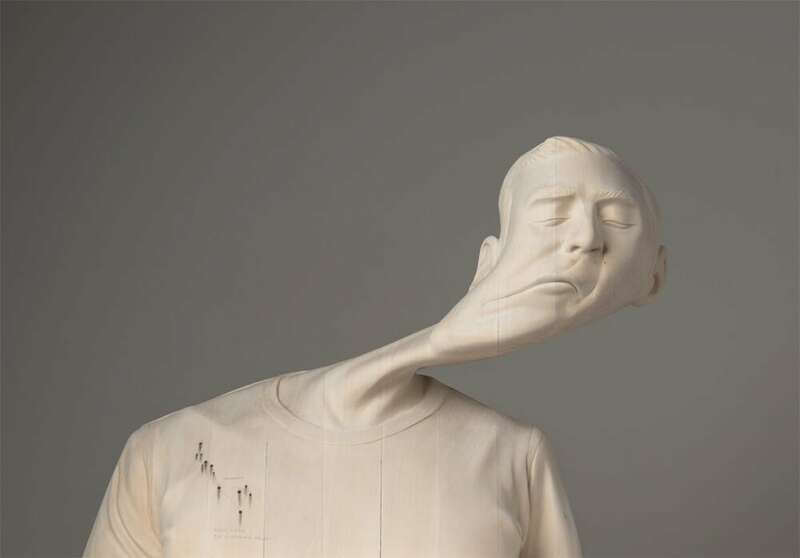 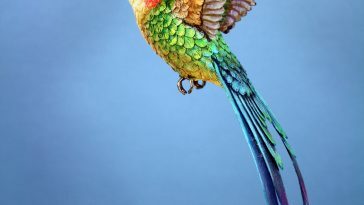 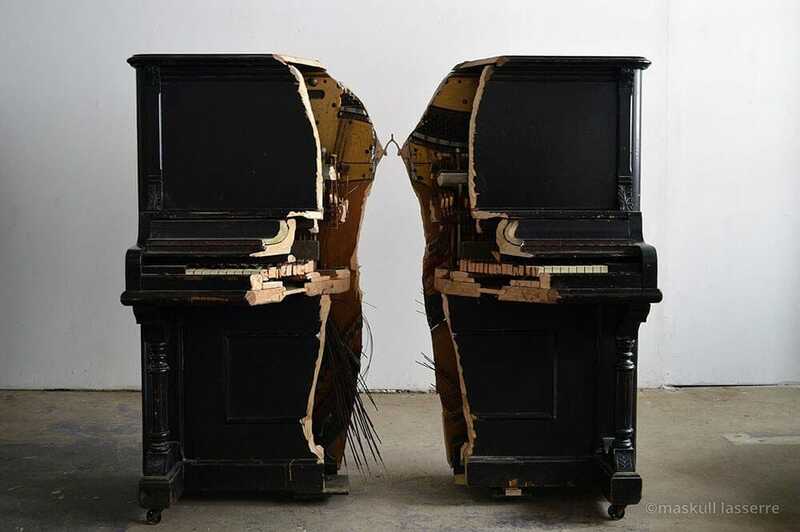 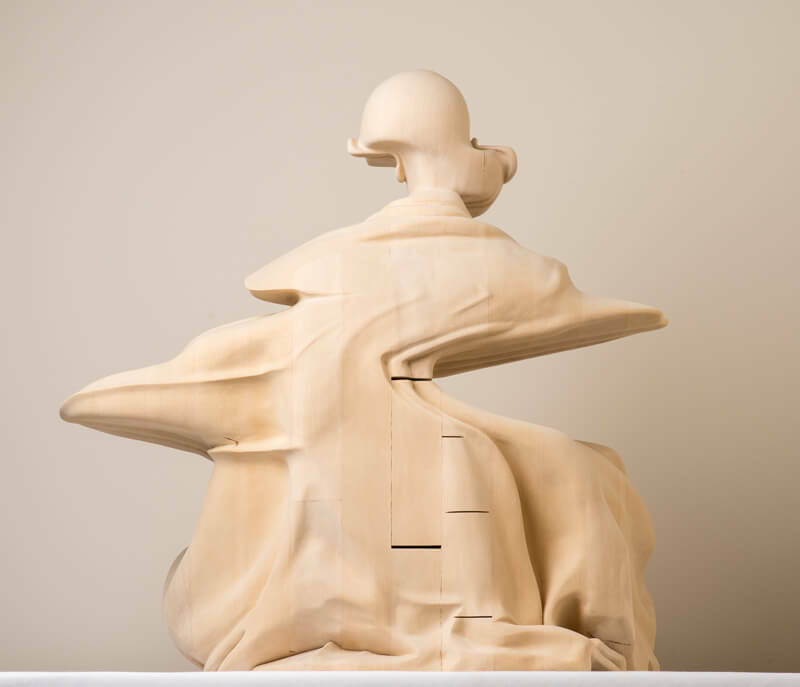 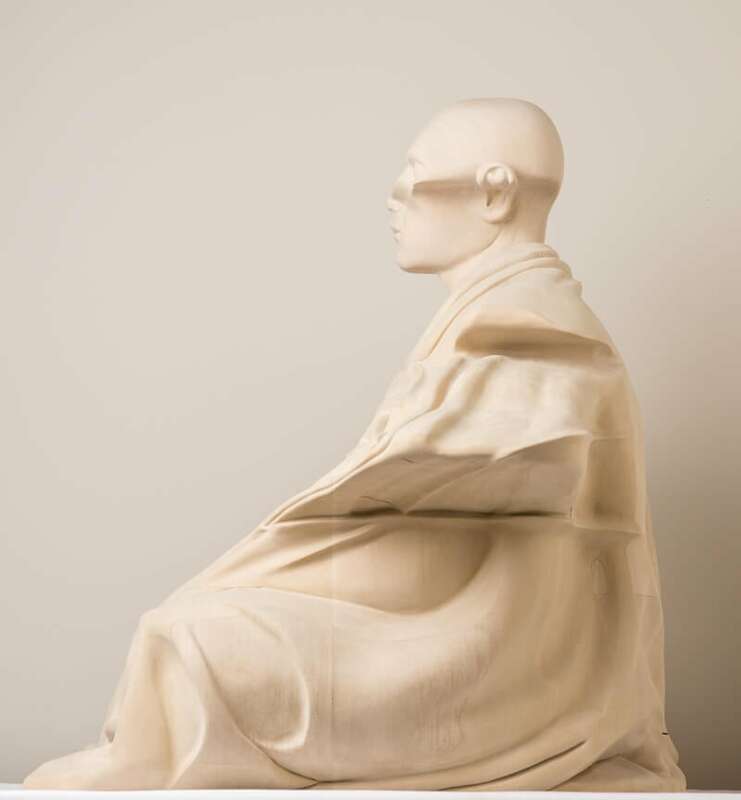 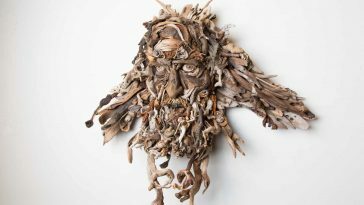 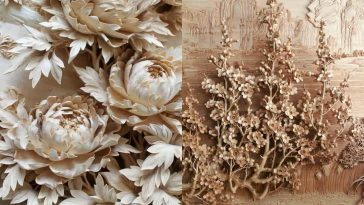 The hand-carved busts and figurative sculptures are additionally punctuated by gaps formed from the laminating process, creating the impression of digital glitches or images skewed by poor reception. 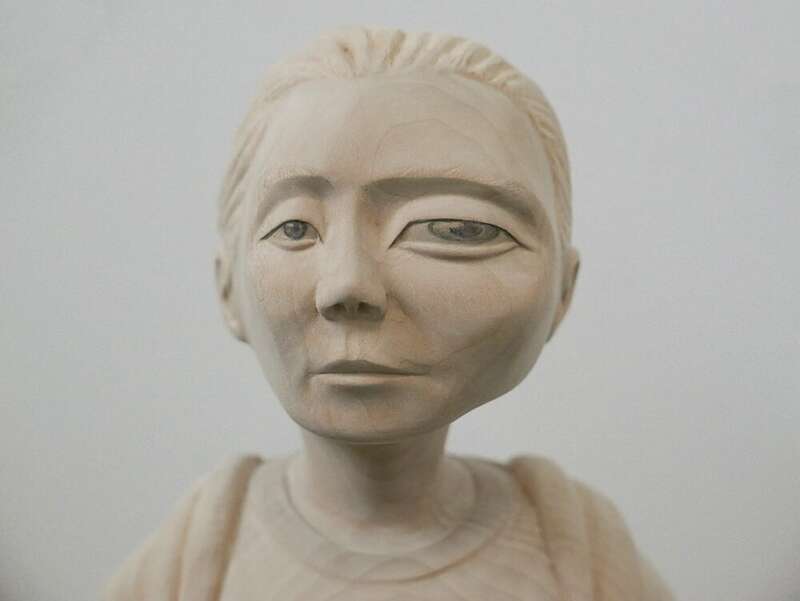 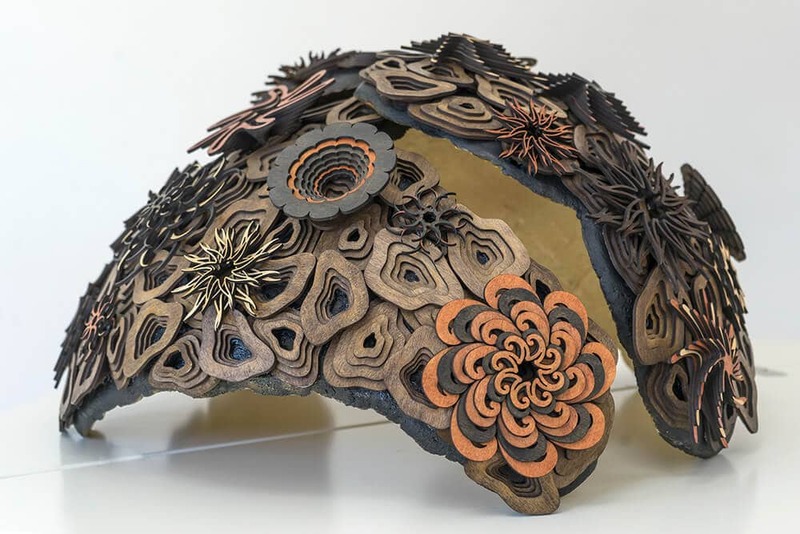 Kaptein says he’s interested in examining the vast area between expansion and contraction, or interconnection and incompleteness. 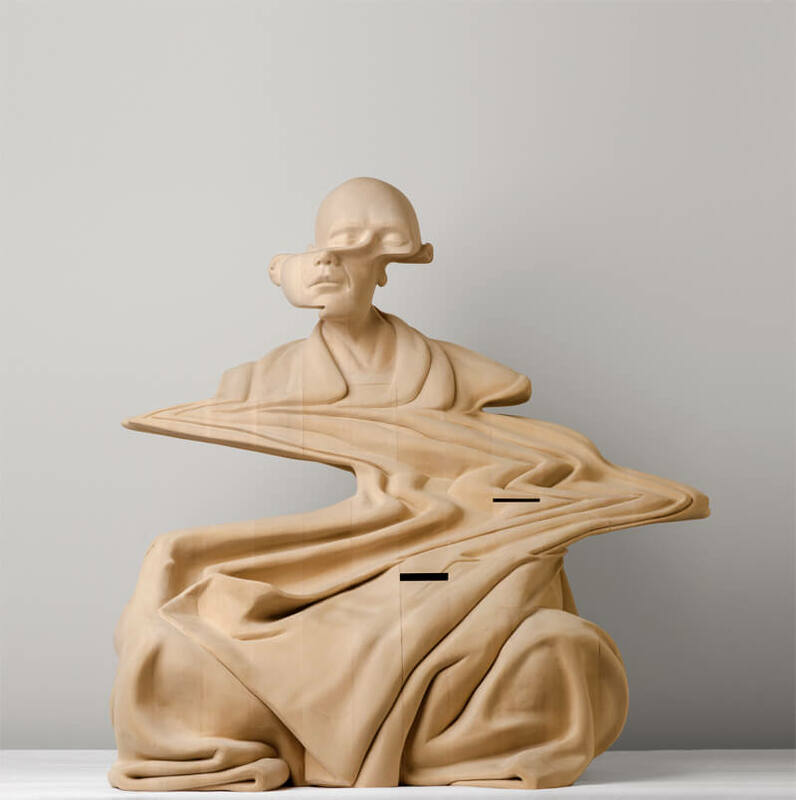 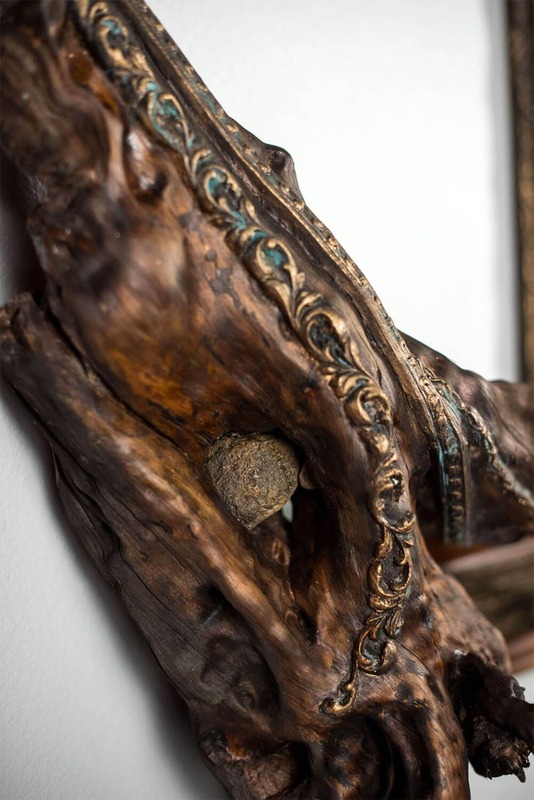 Even as the viewer walks around each piece, it continues to surprise as the warped nature of each artwork continues to push and sink in seemingly every direction.